In honor of the Nash-Healey's excellent 1952 racing record, a pretty new closed coupe called LeMans arrived for 1953 as a companion to the 1953 Nash-Healey roadster, which was now termed a convertible. 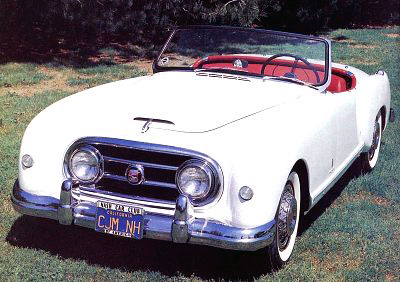 Although little changed in appearance, the 1953 Nash-Healey roadster was retitled a convertible and continued with the bored-out 253-cid six that was phased in during 1952. Built on a 108-inch wheelbase, it bowed in mid-March, again at the Chicago Auto Show, with an announced list price of $6,399, versus $5908 for the convertible. Respective curb weights were 2,970 and 2,700 pounds. Nash called attention to the new coupe's "low hood and high fender contour, which extend beyond the cowl, through the windshield and out the rear window into the rear deck without interruption." Pinin Farina's redesign did little for the shallow trunk in the 1953 Nash-Healey Coupe, although space was good by contemporary sports car standards. Shortly before its U.S. debut, the coupe won first prize in the Italian International Concours d'Elegance at Stresa, beating more than 150 other contestants. Donald Healey made one more assault on LeMans in 1953 with the Nash-Healey, but his emphasis was now on his Austin-Healey 100-4, which he was producing in cooperation with the new British Motor Corporation. The two Frenchmen returned to drive one Nash-Healey, and Leslie Johnson teamed up with Bert Hadley in the number-11 car, a 1953 convertible. 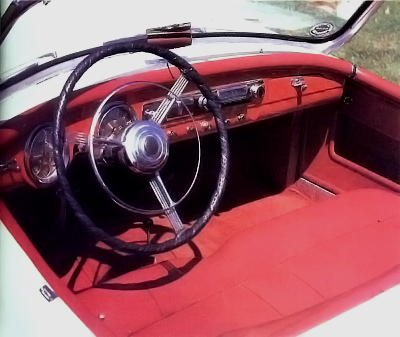 The 1953 Nash-Healey's simple cockpit combined British and American design elements but lacked bucket seats. Again the French dropped out early, but the Nash-Healey acquitted itself well for the fourth consecutive year as Johnson/Hadley managed 11th. Interestingly, they averaged 92.45 mph, faster than their third-place 1952 finish. This car survives today as one of 49 Nash-Healeys owned by Leonard N. "Mac" McGrady of Aberdeen, Maryland. Despite these sterling accomplishments, Nash-Healey sales continued to lag. The reason was obvious: high price, reflecting the enormous shipping costs involved in building the car. Even so, total production actually rose to 162 units for 1953, but all were built in the first five months of the calendar year. Although sales struggled, the Nash-Healey continued to be produced. Learn more about later models on the next page.